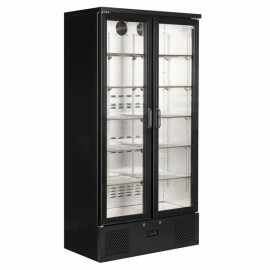 Impressive full height back bar bottle cooler with capacity for 492 bottles. 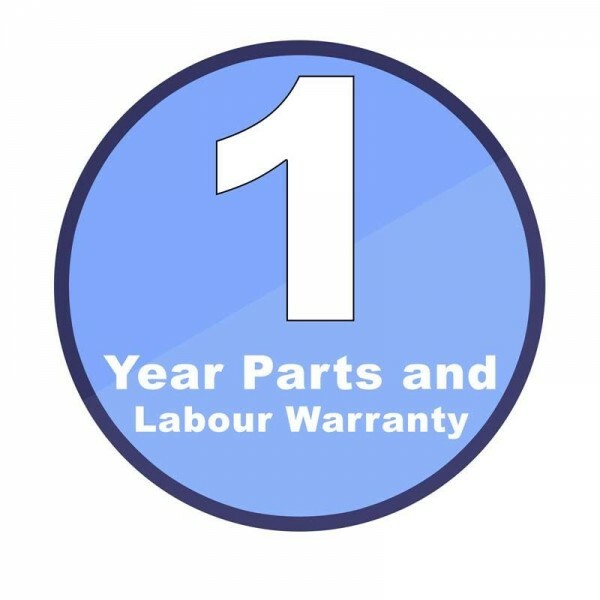 The double door unit comes supplied with 5 adjustable chrome shelves per door, excellent internal illumination and double glazed doors for added efficiency. The cabinet comes finished in a stylish black laminate exterior and stainless steel interior. 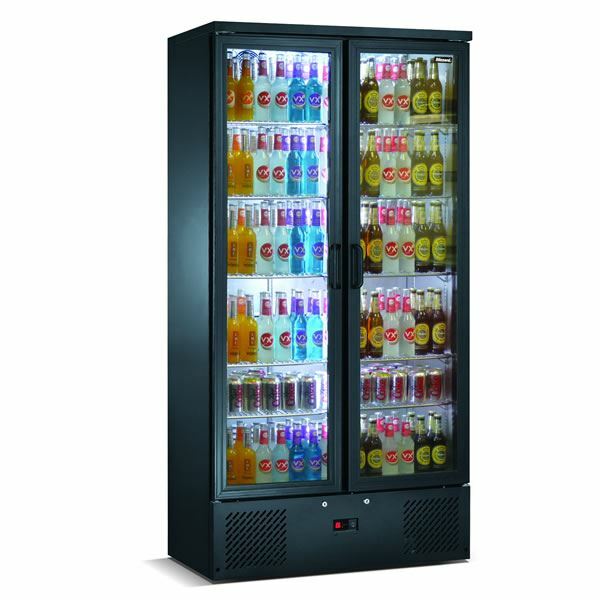 A great high volume display unit for busy bar areas. 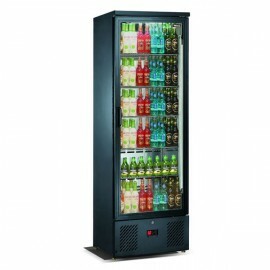 A full height single door back bar display designed to create impact behind your back bar and boost .. 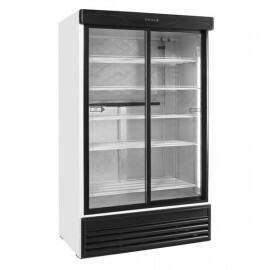 This double door bottle cooler is a great value upright back bar fridge complete with five shelves p..